one of the top ten hot spots on the east coast. 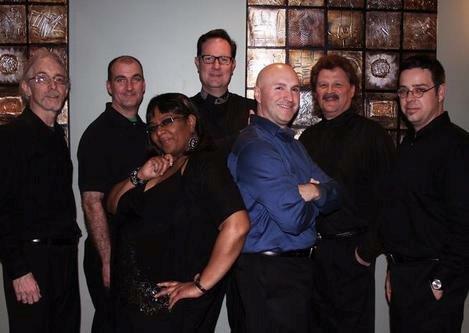 From rock and roll to rhythm and blues, Souled Out meets all their fans’ and clients’ musical desires. This high-energy group forces fans to put on their dancing shoes and dance the night away. By the end of the night they leave fans saying, “Souled Out wore me out,” which is the band’s motto. Their long list of song choices satisfies all age groups. Souled Out has played with many legendary artists. They opened for the great R&B horn band, Tower of Power, as well as the funky Scottish group the Average White Band. They also opened for the Rock and Soul Revue at Nissan Pavilion which included appearances by Michael McDonald, Hall and Oates, and a second appearance with the Average White Band. Clarence Carter encountered the soulful group as well when they opened for him in August 2002. Souled Out accommodates their fan base with t-shirts, CDs, website updates and packed venues. The group recently released their fifth album to keep up with consumer demand. Shows are a success due to their complete light and sound system, not to mention the high energy they bring to the stage.